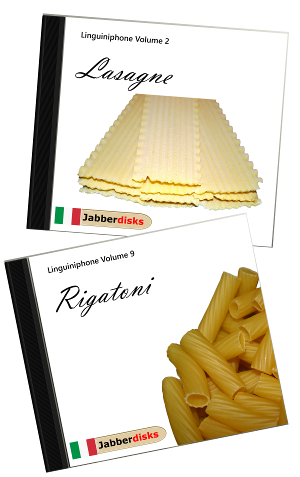 Linguiniphone is a brand new language course from Jabberdiscs and comes on fifteen easy-to-follow CDs, officially endorsed by the Institute Of Advanced Pasta Design in Milan. Listen to them in the car or on the bus! Practice whilst out jogging or on the toilet! You'll soon master this romantic and entrancing tongue and be talking fluent Pasta in no time at all. 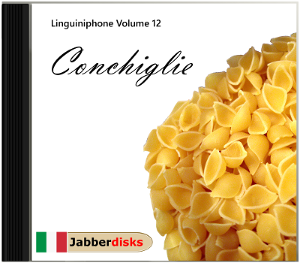 And coming soon: learn French the Jabberdiscs way, just as soon as we can come up with a suitable pun.